Bob has a long history with Northeast Planning Corporation. As a friend of the firm he worked closely with the Life and Disability Insurance Departments throughout his career as an independent insurance professional. His unique approach of top quality service for his clientele is KEY reason for his long success in the financial services industry. At Northeast Planning Corporation we are happy to have added a veteran like Bob to our company that brings such a comprehensive background. The merging of Key Financial Group with Northeast Planning Corporation is long overdue and a very welcomed event. Northeast will offer Bob a greater infrastructure and additional product offerings to round out his already extensive list. After graduating from the University of Connecticut, Bob entered the insurance industry in 1975 as a management trainee with Allstate Insurance Co. 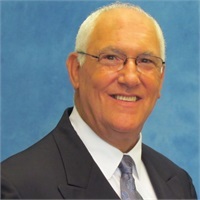 In 1977 he joined Phoenix Mutual Life as a life insurance agent specializing in the area of employee benefits, working with small and mid-sized privately owned businesses. Several years later he left Pheonix Mutual to open his own independent firm, Key Financial. This enabled him to represent various other insurance companies. Bob set out to differentiate himself by providing a strategic approach of selecting the appropriate insurance company and product best suited to meet the needs of each client. He developed an approach of coordinating the clients personal and business insurance needs to maximize protection, reduce costs and provide a personalized plan designed specifically for them. In 1998 Bob extended this approach to Credit Unions and their members by establishing Key Credit Union Programs. His background, knowledge and experience keep his firm in the forefront of products and strategies that most benefit his clients. This is evident today in his approach of educating the business owner and their employees, as well as working with the client's advisors on CDHP (Consumer Driven Health Plans), demonstrating how they can reduce costs and better manage their employee benefit costs. In 2006, Bob partnered with Total Administrative Services Corp. (T.A.S.C. ), a national Third Party Administrator, providing tax saving programs for individuals and business owners. He also works with accountants and other tax professionals and has been a frequent speaker at various NJSCPA events providing information and educational courses to better communicate and spread this knowledge. Bob currently resides in Springfield, NJ with his wife Wendy and daughter Nicole. Their son Kevin resides in Miami, Fl. He likes to play golf, is an avid walker and has been a lifelong NY Jets and UConn fan.